Hello! 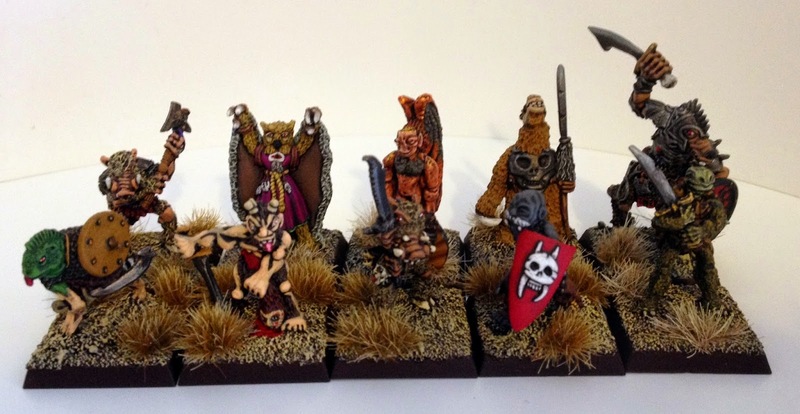 Today I put the final brush strokes to my C27 Beastman 'Shearmone' and C38 Beastmen 'Crab man', 'Camel man', 'Owl man', gorgeous old school miniatures from the 1980's, I have many miniatures from these ranges some are preslotta and some are tagged, I even have some doubles that are both so I imagine at some stage the best of the range must of had their preslotta bases removed and tags added when citadel moved to slotta bases. 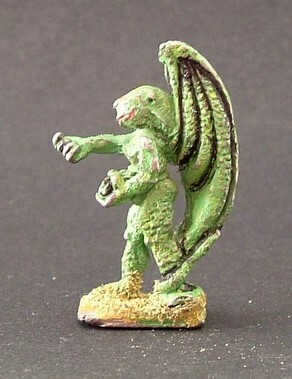 There has been some good research on these miniatures over at the Collecting Citadel miniatures wiki. 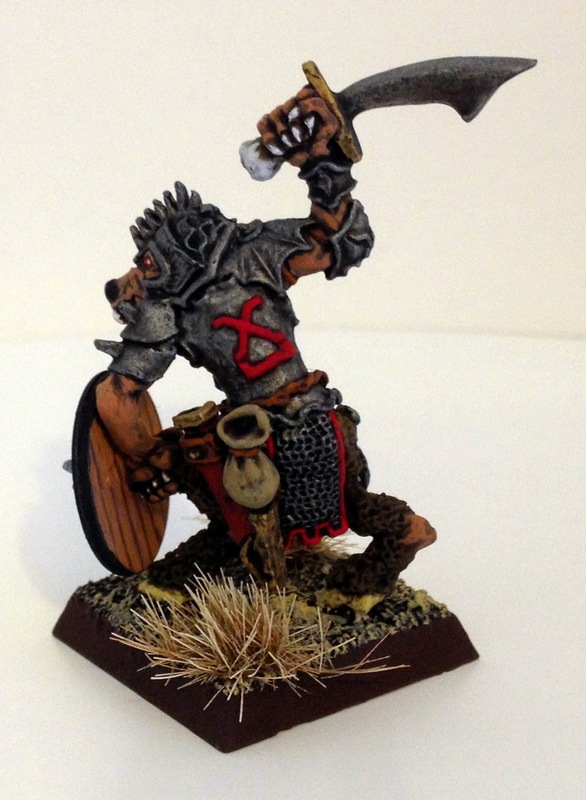 First we have C27 Beastman 'Shearmone' from the Third Citadel compedium, now this is how Chaos Beastmen should look, a truly menancing sculpt by Kevin goblin master Adams I believe, note the pincers for pulling teeth out?. 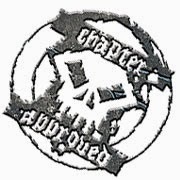 If you look on his back in the photo below it looks like a precursor to the chaos god Khorne icon although the Disciples of the Red Redemption art work carried the Khorne icon long before this miniature was around I think. 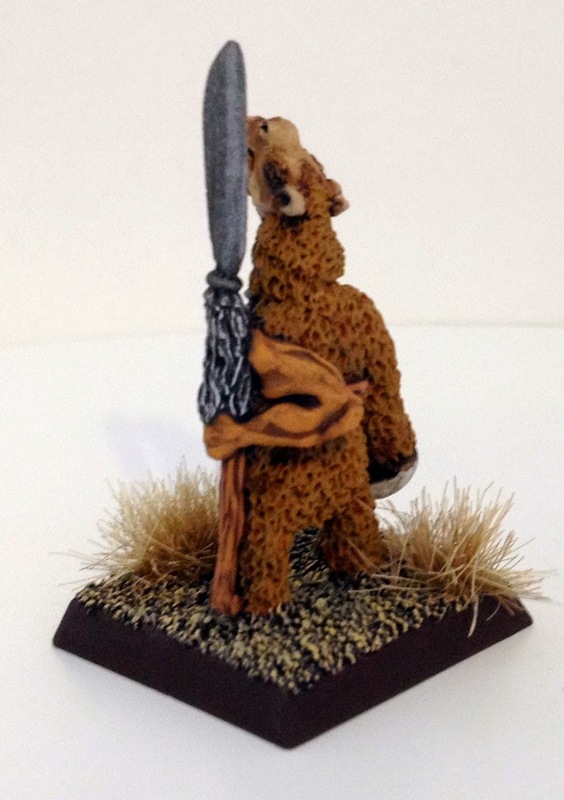 Next we have a beastman tagged as 'Camel man', I can't find any catalogue entries for this miniature, he look like a cross between the two miniatures illustrated below. Is this the answer to my 'Camel man' mystery, a head swap? same head, same body. 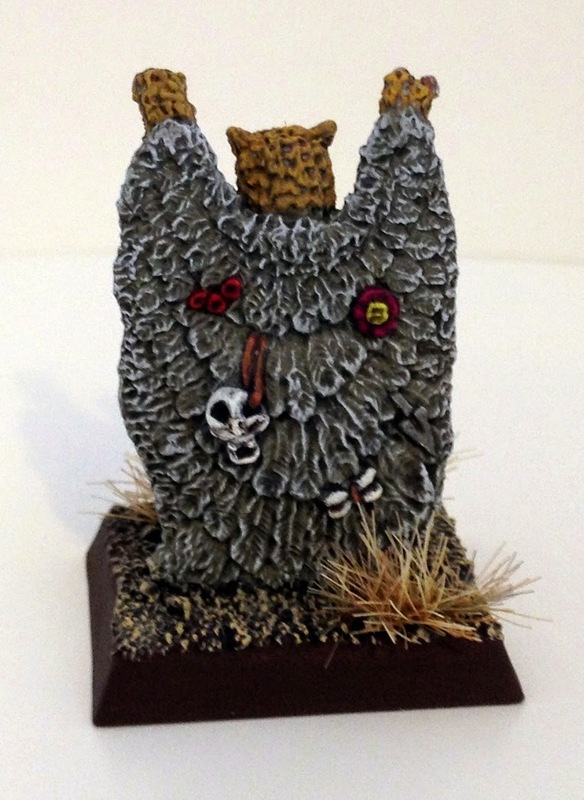 Next we have C38 Beastmen 'Owl man', this is the second vintage beastman shaman I have come across, this miniature is smaller than most beastmen but covered in great detail, just one example is his feathered cloak which is has magical talismans and fetishes attached, they were a really nice discovery. 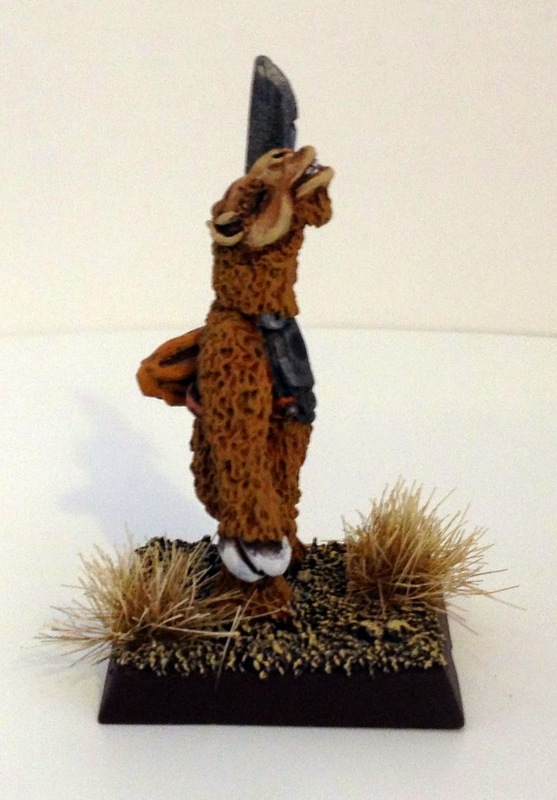 Lastly we have C38 Beastmen 'Crab man', this miniature was on a slotta tag without his weapon? 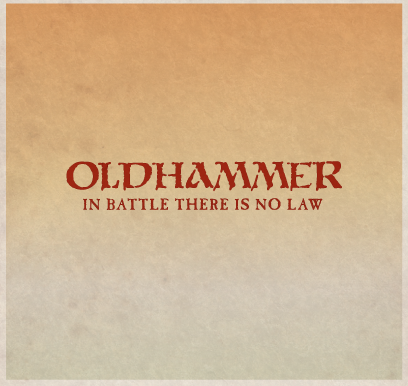 I have another preslotta version that has a big club/mace attached to the metal base, I am not sure if this got removed on the later version or my version was damaged but it didn't look like it as the mace is moulded to the base. 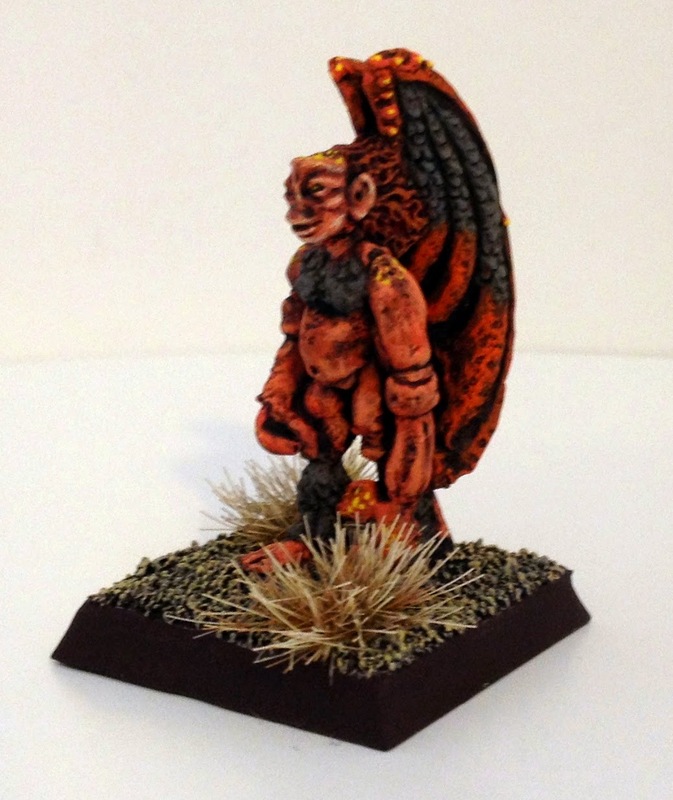 There is another beastman made from this same miniature called 'Snake Demon'. 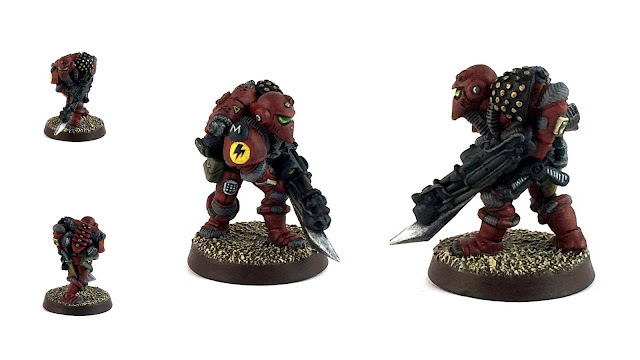 **Update** I managed to find a Crab man on ebay without the mace, HERE, so I pleased that mine is not damaged and citadel removed it at a a later date. Aside from my Realm of Chaos era Chaos Beastmen in previous posts, I am working on a regiment of 'true' beastmen, here are my efforts so far. 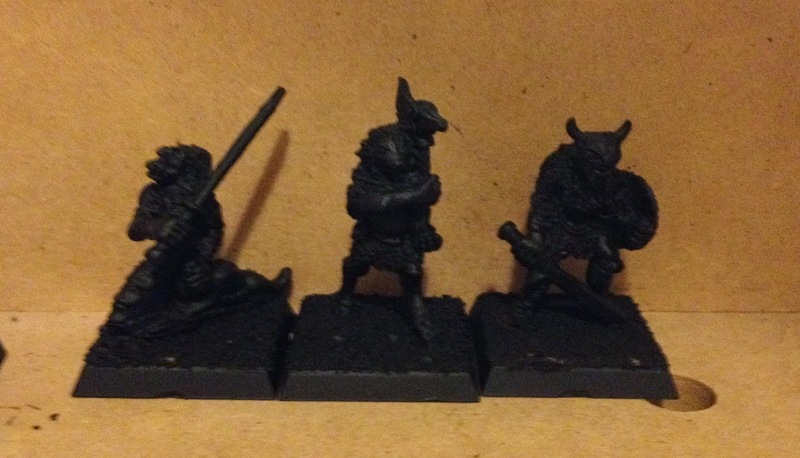 On the workbench, more C38 Chaos Beastmen, I haven't been able to identify the beastman in the middle yet, he is holding his axe backwards! 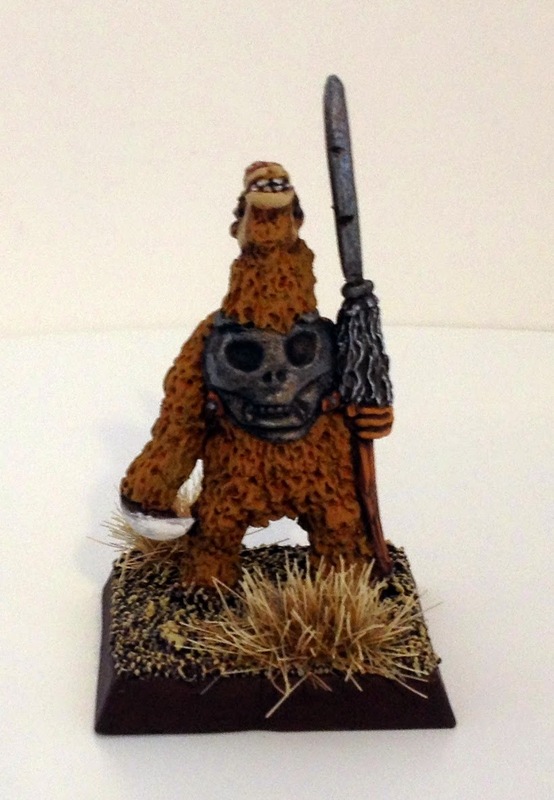 !, he is tagged 'beastman', the first one is 'Slug man' and the third is catalogued as 'Beast man'. 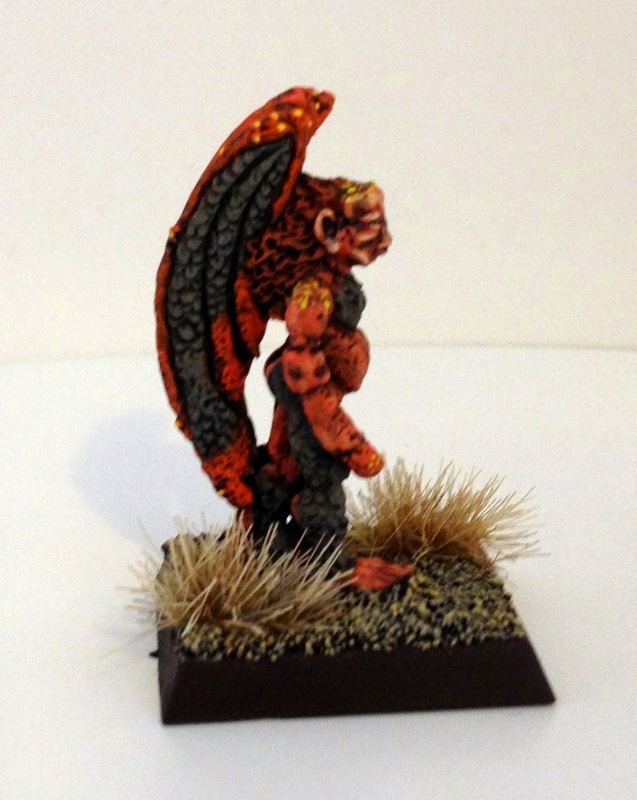 If you have any old beastman doubles contact me and we may be able to trade. 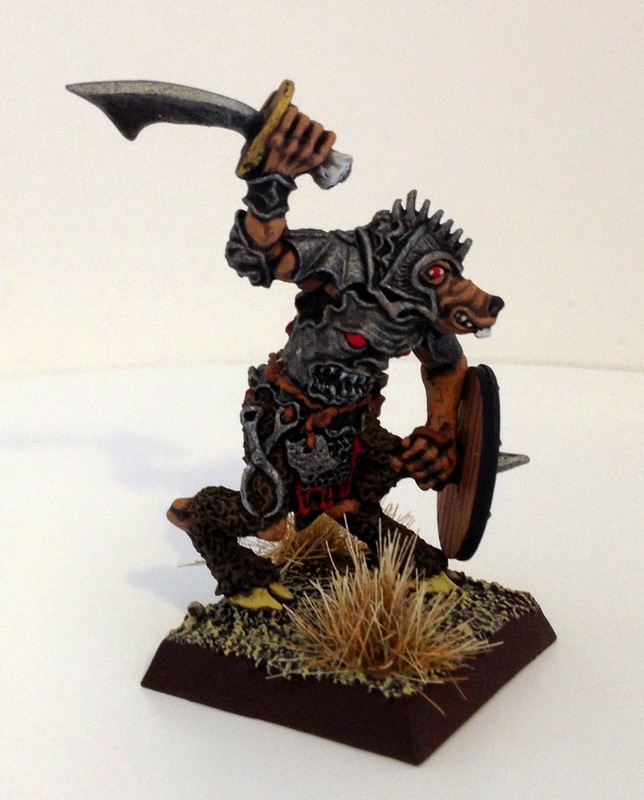 Excellent work on the nice old Beastmen models.The C27/C38 ranges were full of character. 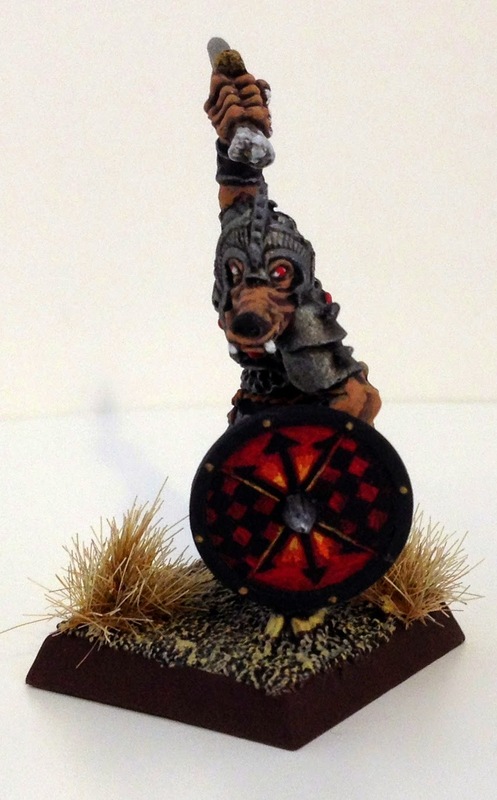 Thank you Lee, I am glad you like them, the shield was a bit of an experiment in chaos heraldry and I did have to avoid the temptation to add more red on the armour, my bases are my basic recipe to tie in all miniatures without drawing too much attention from the miniature. More wonderful work. 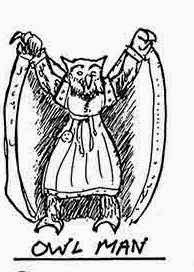 I especially like your job on the Owlman. Camel man is nuts, like a character from Thundercats. Lots of retro weirdness in these guys, cool. Great work. 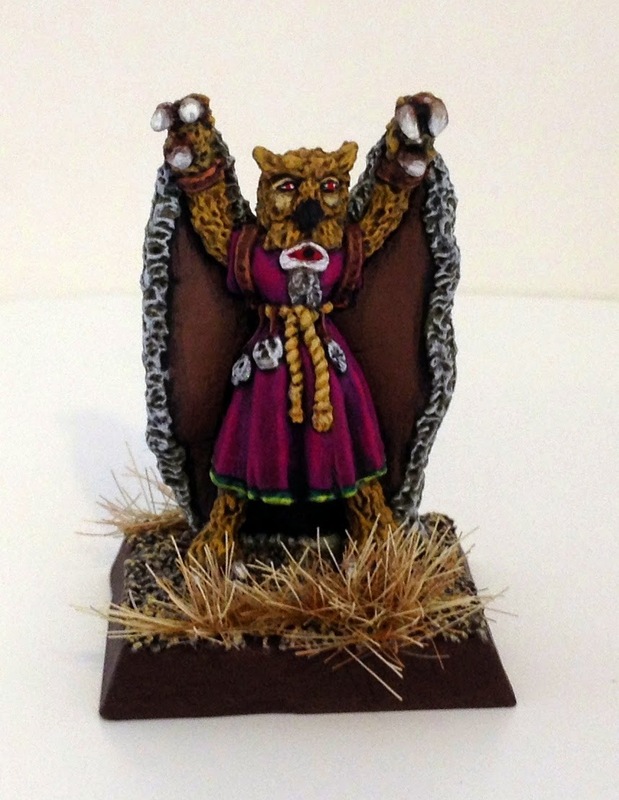 I love the old beastmen ranges. So much more interesting than goat boy x100.